Patt Blue is an American photographer, southern born and bred. She was based in New York City for thirty years, from 1974 to 2004. 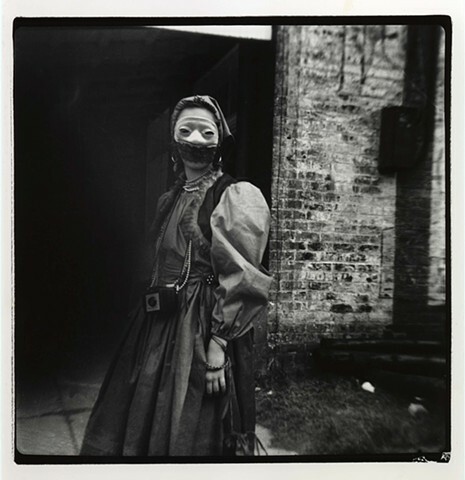 She began photographing as a rural community social worker in upstate New York. Her work is aligned with the tradition of Documentary and Humanistic Photographers of Social Conscience. Recent work incorporates images with writing on autobiographical transcendent themes. The hybrid memoir ”Living On A Dream: A Marriage Tale,” combines her father’s photographs, mother’s oral history and her own poetic prose. She is currently working on, "Birthmark, a memoir continuing the family saga of "Living On A Dream: A Marriage Tale." Patt Blue is an original founding member of the International Center of Photography Education Staff and Faculty in New York City. Later she taught in many universities including, Tenured Professor of Fine Arts at Kean University, and a Visiting Professor of Photography co-teaching “Universal Themes of Art, Literature and Life” at The Evergreen State College in Olympia, Washington. As a Life Magazine photographer in the 1980's, she contributed photo essays of social significance. They received recognition from multiple foundations, including The Howard Chapnick Fund, The Robert F. Kennedy Foundation, The Leica Medal of Excellence, and others. She is a three time MacDowell fellow, the recipient of a NEA fellowship and awarded three NYFA fellowships in photography. Patt Blue lives in the New York Hudson River Valley.